From all corners of the world, Muslims gather annually to perform the Hajj pilgrimage in Mecca wearing simple white cloth, leaving behind the comforts of their homes for a brief period. By forgoing their lifestyles, their only focus is to pray to God as his humble servant and ask for his forgiveness and mercy. However, with the change of times the surroundings of the Grand Mosque have changed with the appearance of five-star luxury hotels and shopping malls. These malls offer the material items people crave to have at a time when Muslims are expected to forgo life's luxuries and pleasures. But in the modern 21st century, few can ignore the need for consumer items, regardless of the location. Sohail Rahman reports from Mecca. Using different coloured fabrics this cute handbag can be worn two ways! Here it is a very simple easy and delicious recipe for rasmalai. 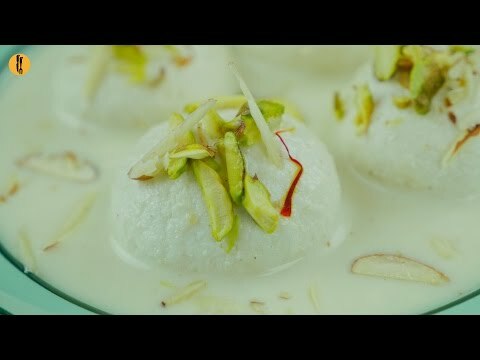 So watch and learn how to make the best rasmalai. #HappyCookingToYou Recipe in English: Ingredients: •For Cheese Balls: -Fresh milk 1 ltr -Vinegar 2 tbs •For Sheera: -Sugar 1 cup -Water 1 & ¼ cup •For Sweet Milk (Rabri): -Fresh milk 1 litre -Sugar ¾ cup or to taste -Cardamom powder ½ tsp -Water 2 tbs + cornflour 1 ½ tbs -Kewra water 1 tbs -Tetrapak cream 2 tbs -Almond and pistachio for garnishing Directions: •Prepare Cheese Balls: -Heat milk and bring it to boil. -Add vinegar and mix it. Strain in cheese cloth and rinse curdled milk with cold water. -Press to strain excess water. -Knead to form a soft dough for 8-10 mins and divide and make small ball with no crack. •Prepare Sheera: -In a sauce pan, add sugar and water and bring it to boil. -Add cheese balls, covered and simmer for 6-8 mins. -Set aside in chilled water. •Prepare Sweet Milk (Rabri): -In a pot, heat milk, add sugar and cardamom powder. -In small bowl,mix water and corn flour and add it to rabri milk. -Add kewra water and boil until 1/3rd of milk remains and keep stirring in between. -Remove from flame and add tetrapak cream and give it a good mix. -Remove cheese balls from cold water and press cheese balls to strain excess water. -Place cheese balls on serving plate, pour sweet milk (rabri). -Garnish with almonds and pistachio, refrigerate for 1-2hours. -Serve chilled. Recipe in Urdu: Ajza: •For Cheese Balls: -Doodh (taza) 1 ltr -Sirka 2 tbs •For Sheera: -Cheeni 1 cup -Pani 1 & ¼ cup •For Sweet Milk (Rabri): -Doodh (taza) 1 litre -Cheeni ¾ cup or to taste -Elaichi powder ½ tsp -Pani 2 tbs + cornflour 1 ½ tbs -Kewra water 1 tbs -Tetrapak cream 2 tbs -Badam and pista for garnishing Directions: •Prepare Cheese Ball: -Doodh ko garam karein aur ubal lein. -Sirka shamil ker k mix karein. Mulmul ka kapra mein chaan lein aur thanday pani dal dein. -Daba ker k ezafe pani nikal lein. -Dough ko ache tarhan ghond lein 8-10 mins kliya aur chotay size ki balls bana lein. •Prepare Sheera: -Sauce pan mein cheeni aur pani dal ker ubal lein. -Ab is mein cheese balls shamil karein,dhak ker halki ancch per 6-8 mins kliya rakh dein. -Thanday pani mein dal ker side per rakh dein. •Prepare Sweet Milk (Rabri): -Pot mein doodh garam karein,cheeni aur elaichi powder shamil karein. -Ek chota bowl mein pani aur corn flour dal ker mix ker lein aur rabri milk mein shamil karein. -Ab is mein kewra water shamil karein aur 1/3rd doodh reh janay tak paka lein,bech mein musalsal chamcha chalatay rahein. -Chulhay sa hata lein,aur tetrapak cream dal ker ache tarhan mix ker lein. -Cheese balls ko thanday pani sa nikal lein aur daba ker ezafe pani nikal lein. -Cheese balls ko serving plate mein rakh ker upper sa rabri milk dal dein. -Badam aur pista sa garnish karein aur refrigerator mein 1-2 hours kliya rakh dein. -Thanda serve karein. 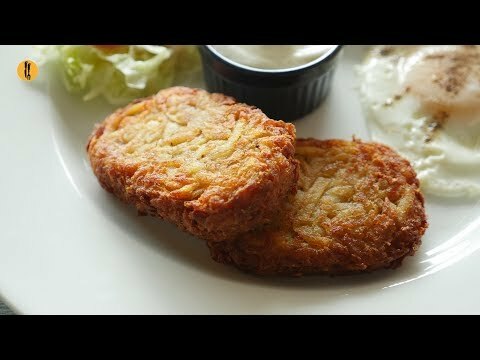 Make the perfect restaurant quality Hash browns at home with this tried and tested recipe #HappyCookingToYou Hash Brown Recipe in English: Ingredients: -Aloo (Potatoes) peeled ½ kg -Ice cold water -Makhan (Butter) 2 tbs -Chawal ka atta (Rice flour) 2 tbs -Lal mirch powder (Red chili powder) ½ tsp or to taste -Namak (Salt) 1 tsp or to taste -Onion powder 1 tsp -Kali mirch powder (Black pepper powder) 1 tsp -Corn flour 1 tbs -Cheddar cheese grated 3 tbs -Oil for frying Directions: -Grate potatoes with the help of grater. -Add grated potatoes in ice cold water for 10 minutes then drain and squeeze out completely with the help of muslin cloth and set aside. -In wok,add butter and let it melt,add grated & squeeze potatoes,mix well and cook on medium flame for 4-5 minutes & let it cool down. -Now add rice flour,red chili powder,salt,onion powder,black pepper powder,corn flour and cheddar cheese,mix well and let it rest for 5 minutes. -Grease your hands with oil,take a mixture and make oval shape of equal sizes. -In frying pan,heat oil and fry until golden brown. Recipe in Urdu: Ajza: -Aloo (Potatoes) peeled ½ kg -Ice cold water -Makhan (Butter) 2 tbs -Chawal ka atta (Rice flour) 2 tbs -Lal mirch powder (Red chili powder) ½ tsp or to taste -Namak (Salt) 1 tsp or to taste -Onion powder 1 tsp -Kali mirch powder (Black pepper powder) 1 tsp -Corn flour 1 tbs -Cheddar cheese grated 3 tbs -Oil for frying Directions: -Aloo ko grater ki madad sa grate ker lein. -Grated aloo ko thanday pani mein 10 minutes kliya dal dein phir drain ker ka malmal ka kapray mein dal ker mukammal squeeze ker lein & side per rakh dein. -Karhai mein makhan dal ker melt karein aur grated & squeeze aloo dal ker ache tarhan mix karein aur darmiyani ancch per 4-5 minutes kliya paka lein & thanda ker lein. -Ab is mein chawal ka atta,lal mirch powder,namak,onion powder,kali mirch powder,corn flour aur cheddar cheese dal ker ache tarhan mix karein aur 5 minutes kliya chor dein. -Haathon ko oil sa grease karein aur equal sizes ka oval shapes bana lein. -Frying pan mein oil garam karein aur golden brown hunay tak fry ker lein. A must try Dhaga Khabab Recipe for you. Give it a try and experience the great taste. #HappyCookingToYou Dhaaga Kabab Recipe in English: Ingredients: -Laung (Cloves) 9-10 -Sabut kali mirch (Black peppercorns) ½ tsp -Zeera (Cumin seeds) 1 & ½ tsp -Sabut dhania (Coriander seeds) 1 & ½ tsp -Jaifil (Nutmeg) ½ piece -Javatri (Mace) ½ piece -Saunf (Fennel seeds) ½ tsp -Darchini (Cinnamon sticks) 2-3 -Hari elaichi (Green cardamom) 6 -Badiyan ka phool (Star anise) ½ piece -Badam (Almonds) 10-12 -Sabut lal mirch (Whole red chilies) 10-12 -Chanay (Chickpeas) roasted 1-2 tbs (optional) -Rose water 1 tsp -Kewra water 1 tbs -Pyaz (Onion) 2 medium -Adrak (Ginger) 1 inch piece -Lehsan (Garlic) 7-8 cloves -Hari mirch (Green chilies) 3 -Hara dhania (Fresh coriander) ½ Cup -Kacha papita (Raw papaya) peeled & cubes ½ Cup -Beef qeema (Beef mince) 1 kg (must be dried) -Namak (Salt) 2 tsp or to taste -Lal mirch powder (Red chili powder) 2 tsp or to taste -Chaat masala 1 tsp -Coconut milk powder 1 & ½ tbs -Charbi (Beef fat) 100 gms -Oil Directions: -In frying pan,ad cloves,black peppercorns,cumin seeds,coriander seeds,nutmeg,mace,fennel seeds, cinnamon sticks,green cardamom,star anise,almonds,whole red chilies,chickpeas and roast until fragrant & let it cool. -In mixer,add roasted spices and grind to make a fine powder. -In bowl,add grinded spices,rose water and kewra water,mix well & set aside. -Grate onions with the help of the grater and squeeze excess moisture with the help of the muslin cloth & set aside. -In chopper,add ginger,garlic,green chilies,fresh coriander,raw papaya and chop well. -Add beef mince (must be dried),salt,red chili powder,chaat masala,coconut milk powder,grinded spices,squeeze onion and chop until well combined. -Add beef fat and chop well & refrigerate for 2-24 hours. 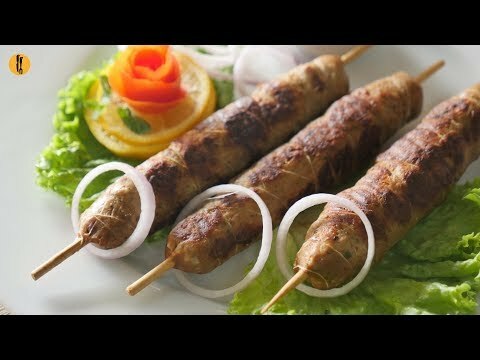 -Grease your hands with oil,take a mixture and make a kebabs onto the wooden & metal skewers and tie the kebabs with a kitchen thread. Option no.1: In grill pan,add oil and fry kebabs from all sides,cover & steam cook for 2-3 minutes. -Give a coal smoke for 2 minutes. Option no 2: Put the skewers on BBQ grill and grill until done and basting with oil. Recipe in Urdu: Ajza: -Laung (Cloves) 9-10 -Sabut kali mirch (Black peppercorns) ½ tsp -Zeera (Cumin seeds) 1 & ½ tsp -Sabut dhania (Coriander seeds) 1 & ½ tsp -Jaifil (Nutmeg) ½ piece -Javatri (Mace) ½ piece -Saunf (Fennel seeds) ½ tsp -Darchini (Cinnamon sticks) 2-3 -Hari elaichi (Green cardamom) 6 -Badiyan ka phool (Star anise) ½ piece -Badam (Almonds) 10-12 -Sabut lal mirch (Whole red chilies) 10-12 -Chanay (Chickpeas) roasted 1-2 tbs (optional) -Rose water 1 tsp -Kewra water 1 tbs -Pyaz (Onion) 2 medium -Adrak (Ginger) 1 inch piece -Lehsan (Garlic) 7-8 cloves -Hari mirch (Green chilies) 3 -Hara dhania (Fresh coriander) ½ Cup -Kacha papita (Raw papaya) peeled & cubes ½ Cup -Beef qeema (Beef mince) 1 kg (must be dried) -Namak (Salt) 2 tsp or to taste -Lal mirch powder (Red chili powder) 2 tsp or to taste -Chaat masala 1 tsp -Coconut milk powder 1 & ½ tbs -Charbi (Beef fat) 100 gms -Oil Directions: -Frying pan mein laung,sabut kali mirch,zeera,sabut dhania,jaifil,javatri,saunf,darchini,hari elaichi, baadiyan ka phool,badam,sabut lal mirch aur chanay dal dein aur khushbu anay tak roast ker lein & thanda ker lein. -Mixer mein roasted spices dal dein aur grind ker ka fine powder tayyar ker lein. -Bowl mein grinded spices,rose water aur kewra water dal ker ache tarhan mix karein & side per rakh dein. -Pyaz ko grater ki madad sa grate ker lein aur malmal ka kapray ki madad sa excess moisture ko squeeze ker lein & side per rakh dein. -Chopper mein adrak,lehsan,hari mirchein,hara dhania aur kacha papita dal ker ache tarhan chop ker lein. -Beef qeema (must be dried),namak,lal mirch powder,chaat masala,coconut milk powder,grinded spices aur squeeze pyaz dal ker ache tarhan chop ker lein. -Beef charbi dal ker ache tarhan chop ker lein aur 2-24 hours kliya refrigerate ker lein. -Haathon ko oil sa grease karein aur mixture ko la ker wooden & metal skewers per kebabs bana lein aur kitchen thread sa tie ker lein. Option no.1: Grill pan mein oil dal dein aur kebabs ko tamam sides sa fry karein aur 2-3 minutes kliya steam cook ker lein. -2 minutes kliya koyla ka dhuwan dein. Option no 2: Skewers ko BBQ grill per rakh dein aur pak janay tak grill ker lein aur oil laga lein. This session: - Start wearing clothes from right or left? 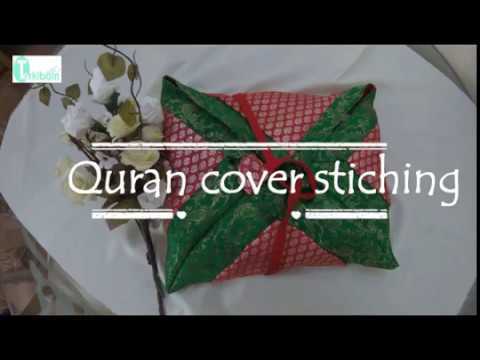 - Duaa while wearing clothes - Relationship between clothing & sins - Covering how much body? - Dirty or Tight clothing - Imam Khomeini\'s example Hujjatul Islam Haq Panah is a Howza teacher in Qom, Iran.